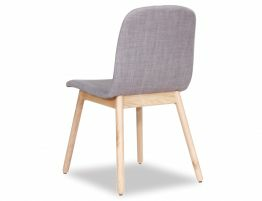 The Maxwell is an handsome Scandinavian timber dining chair with a natural American ash leg. 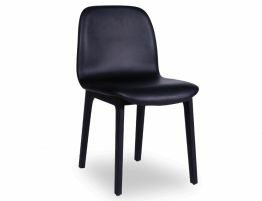 It boasts a plush charcoal seat with padding. 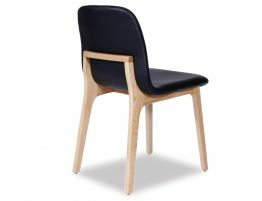 This dining chair makes a powerful expression in its designer model that cuts a quintessential look to any flat top. 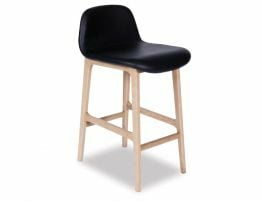 From the back, the Maxwell trademarks a nice characteristic, with a timber brace which is very pleasing to the eye, this is a nice hallmark that sets it apart from other dining chairs.